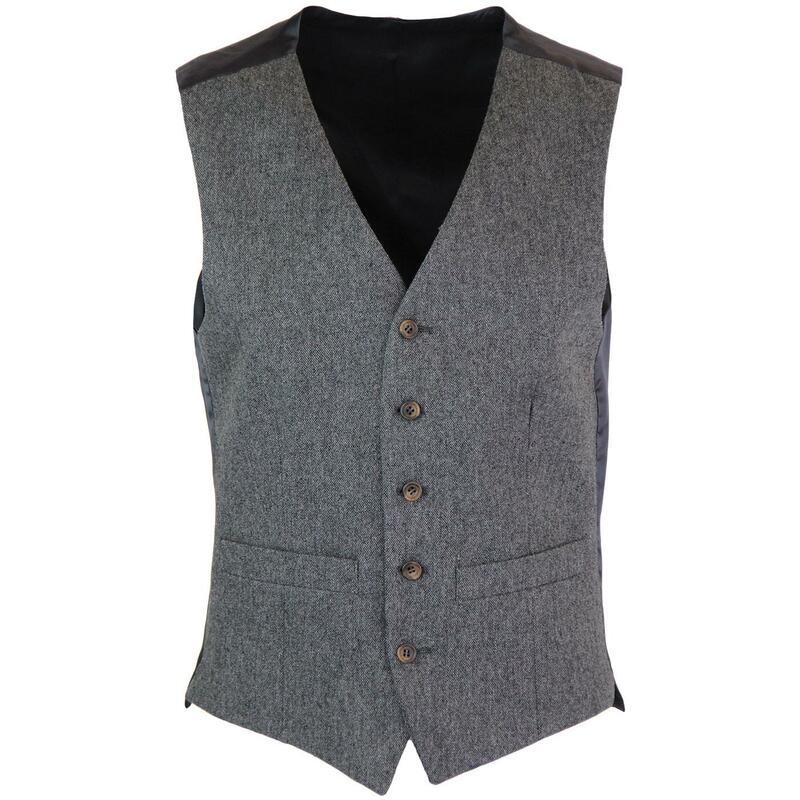 Men's 1960s mod tailored V-neck Donegal waistcoat in charcoal. 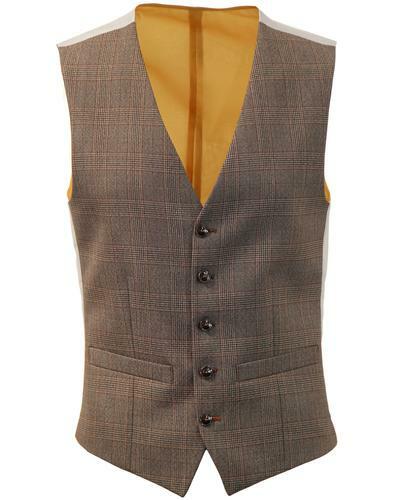 This stylish men's retro waistcoat features a wool blend Donegal fleck front panel and classic sateen back panel with tab adjuster. 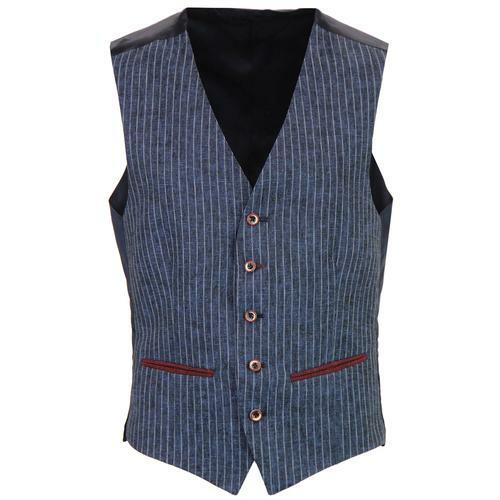 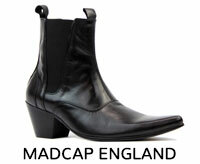 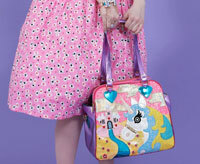 Side pockets and vintage marble-esque buttons finish the waistcoat off in style. 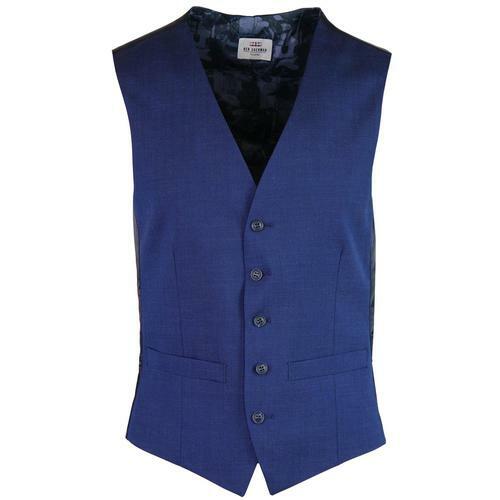 Sure to add a smart and sophisticated edge to formal attire, this classic men's Donegal Waistcoat can also be teamed with the matchg slim leg suit trousers and 2 button single bresated blazer to create an awesome 3 piece mod suit. 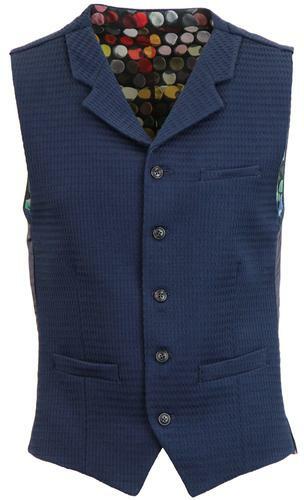 Men's 1960s mod tailored Donegal waistcoat in charcoal. Wool blend Donegal fleck front panel.